Portrait photograph from Tracy, W. Burnett and Pike, W.T: Manchester and Salford at the Close of the 19th Century: Contemporary Biographies. Brighton: W.T. 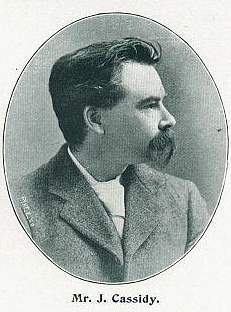 Pike & Co., 1899. 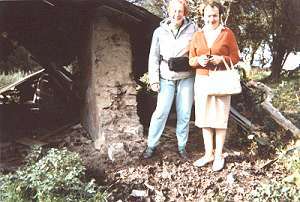 Lis Nicolson and Sheila Crehan of the Slane Historical Society at the remains of the Cassidy farm, Slane. This page summarises the life of Cassidy as we have best been able to establish it. For extracts from other biographical works, please see the biography section of our Features page. John Cassidy, son of Patrick Cassidy, a farmer, and his wife Jane, née McGorisk (Or possibly McGurk), was born at Littlewood, Slane, Co. Meath, Ireland on 1 January 1860. For more about his family, see our article The Cassidys of Slane. He served his apprenticeship as a bar assistant in the White Horse Hotel, Drogheda. It was said that he spent most of his spare time etching and drawing and painting. Several paintings, done around 1880, exist in Irish collections; two are in the collection of the Highlanes Gallery, Drogheda. Aged 20 years, John went to work in Dublin, where he attended night classes in Art School. Some sources say he gained a scholarship to study in Milan, others that he studied in Paris, but we have not been able to confirm these continental adventures. Certainly, he settled in Manchester - an English city with a large Irish population - where he spent the remainder of his life. He studied at the Manchester School of Art (see our feature) from 1883, winning several medals and prizes, both national and local, for his modelling; in 1887 he is listed as an 'assistant teacher.' He established a studio, initially in Barton Arcade in the centre of Manchester, then, by 1894, in rented buildings in Lincoln Grove, Chorlton-on-Medlock where all his major works were conceived. As his reputation grew he exhibited at the Royal Academy, the Hibernian Academy, The Royal Cambrian Academy, and Manchester City Art Gallery, and became the Hon. Treasurer of the Manchester Academy of Fine Arts. His career gained a major boost when in 1887 he was engaged to give demonstrations in modelling from life at the Manchester Royal Jubilee Exhibition, during which he is said to have modelled in clay 'more than 200' (or '185' according to another writer) heads of visitors to the exhibition. Records of his life in Manchester are scanty. He never married. He lived in boarding houses all through his Manchester career, although he somehow escaped the enumerators of the 1901 census, perhaps visiting his family in Ireland. He appears in the 1891 census living as a 'boarder' at 39 Meadow Street, Moss Side, Manchester, an establishment run by a widow, Mrs Amelia Suthers; by 1894 he was living at 191 Brunswick Street, Chorlton-on-Medlock, again as a boarder. 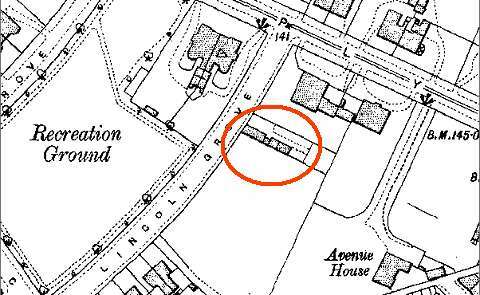 The 1911 census found him lodging with Agnes Cannon, another widow, and her daughter Ada Mary, at 9 Plymouth Grove, Chorlton-on-Medlock, not far from his studio. On the 1911 census form he describes himself as an 'employer'; he is known to have employed a studio assistant in later years. None of the boarding houses mentioned above still exist, removed by 'slum clearance' schemes. From the 1890s until the outbreak of World War I he carried out many commissions, large and small, in the local area and as far away as Aberdeen and Bristol. A popular figure in Manchester, he attracted valuable commissions from wealthy local art collectors, notably James Gresham (founder of the long-lived engineering form of Gresham and Craven) and Enriqueta Rylands, widow of textile millionaire John Rylands. His finances must have been stretched during the war, as few would have been commissioning sculptures, but after the war he entered a prosperous period due to the demand for war memorials. The studio in Lincoln Grove is listed in the trade directories ('John Cassidy, Sculptor') for 1927, but in 1928 (by which time he was aged 68) He was evicted by his landlord, and a large bakery was subsequently built for R. Sharrock & Sons, occupying all the remaining frontage of that side of Lincoln Grove. (Their 'Tip Top' loaf was one of the first to be sold sliced and wrapped.) The bakery in turn was demolished some time around 1970. The map above shows the buildings which we think may have been his studio (no pictures showing its exact location have yet shown themselves); by 2008 there was nothing there just a patch of waste land festooned with 'trespassers will be prosecuted' signs, and in 2011 this was cleared and incorporated into the adjacent school playing fields. The buildings of a primary school, built some time around 1980, now occupy what was the southern part of the bakery site. The few modern published sources on his life, perhaps copying from each other, state that 'his last-known address was in Ashton-upon-Mersey' - this arises from the new address 'Woodheys Grange, Ashton-upon-Mersey' that he gave in 1928 to the Royal Society of British Sculptors. See our feature The Walkers of Woodheys Grange; it is likely that he found accommodation for his studio in one of the outbuildings of this large house, the home of George Harry Walker, who had commissioned several works. Perhaps he even stayed with Mr Walker, who had been a widower since 1926. Cassidy gave Woodheys Grange as his address in a letter to the Manchester Guardian in 1930, but Mr Walker died later that year and by 1932 the place had vanished from Street directories, presumably demolished. A Methodist Church stands today on the site. 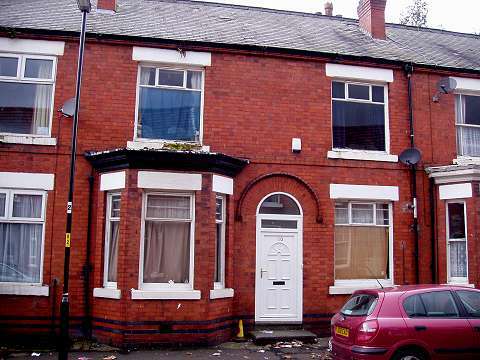 His final residence before being hospitalised in 1939 was in lodgings at 10 Albion Road, Fallowfield, Manchester - a house which is still there and lived-in; our picture below is from March 2008. John Cassidy died in St Joseph's Hospital, Whalley Range, Manchester, on 19 July 1939, and was buried in the Roman Catholic part of Manchester's Southern Cemetery, in Section I, grave no. 800; the grave is still there and was refurbished in 2011. (See our feature John Cassidy's last days.) If anyone reading this knows the whereabouts of any of his business records or other documents we'd be pleased to hear from them, but the suspicion has to be that they fell victim to the World War II paper-recycling drive. In the twenty-first century, many of his works survive and some are on public view, although few passers-by give them, or other sculptures for that matter, any thought. Certainly few people know his name - a situation which we hope this website will go some small way to address. Written by Charlie Hulme: updated January 2019.